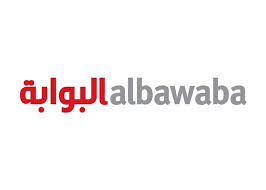 AlBawaba, by Rakiya Eddarhem (June 29, 2013) — From Syria to Libya to Mali and Iran, conflicts in the Middle East and North Africa are perpetually covered in the media. Rakiya Eddarhem is a Sahrawi and Member of Morocco’s Parliament, representing Laayoune. The Polisario certainly likes it that way, and works hard to perpetuate that story line. Its very existence depends on the media and the international community believing that they are the sole legitimate representative of the Sahrawi people. But that is false, and I am living, breathing evidence of that. Born and raised in Laayoune, a Sahrawi for generations, I was elected from over a dozen competing candidates to represent Sahrawis as a Member of Morocco’s national Parliament. If the international community agrees with me that authoritarian rule violates human rights, and that democracy is the best form of governance and our best hope for stability and peace – particularly in a region already burdened by conflict – then they must also acknowledge the truth about the Polisario. For nearly forty years, Mohammed Abdelaziz, self-declared leader of the Polisario and its inhuman “refugee” camps in Algeria, has ruled with an iron hand. Born in Marrakech, Morocco, and once a student at Mohammed V University in Rabat, Abdelaziz gravitated towards Soviet-style socialism. When he took control of the Polisario in 1976, he was a kindred spirit of Communist dictator Fidel Castro. And so he remains to this day. In the camps, freedom of expression is severely limited, and violations of civil liberties and human rights are the norm. Refugees are stripped of their freedom of association and freedom of movement. Those who express interest in leaving the camps for Morocco or elsewhere are denied that right; those who attempt to leave face criminal penalties including imprisonment or exile. As you read this, Mustapha Salma Ould Sidi Mouloud – a former Polisario official who left the camps in 2010 and was tortured and exiled for it – is on his second month of a hunger strike, hoping to be reunited with his family still held hostage in the camps. To any fair observer, this stands in stark contrast to the lives Sahrawis lead in the southern provinces of Morocco where we enjoy all the rights and responsibilities guaranteed by Morocco’s new Constitution – including full and equal participation in elections to choose local leaders and representatives in Parliament. I am just one of several Sahrawi members of Parliament. Indeed, over the past decade, voter participation in Morocco’s southern provinces has been higher than in any other region of the country. This is not to say that things are perfect. My colleagues and I have much work to do to improve conditions for Sahrawis in southern Morocco including: build a university, create more job opportunities, and improve access to social services and training. However, these are issues of institution- and capacity-building, civil society, and development – things that the Polisario cannot and will not bring to Sahrawis in the camps, but that we are intent and determined to achieve as an integral part of an increasingly democratic, modernized society in Morocco. The international community can play a significant role in helping to fund and facilitate these developments, which are critical for empowering Sahrawis as we take on the new responsibilities of Morocco’s broad regionalization initiative. And with the growing instability and insecurity in the greater Sahel region, it is an opportunity and challenge that we dare not fail to meet. That’s why I was proud to represent Sahrawis on a trip to Washington last week, to meet with NGOs and members of Congress and the media, and give them a clearer picture of the situation on the ground in Western Sahara. My first request, however, is that they address me as an elected representative, who truly speaks for the Sahrawi people. Born and raised in Laayoune, Rakiya Eddarhem is a member of the Socialist Union of Popular Forces Party (USFP) and one of the youngest Members of Morocco’s Parliament. She serves as a Vice President of the Committee of Foreign Affairs, Islamic Affairs and Moroccans Living Abroad, and is very involved in promoting economic development and education for young entrepreneurs in Morocco, with a particular focus on supporting emerging female entrepreneurs.